Pray for Guille as he strives, through Mision BETA, to help pastors develop healthy ministries in their churches. Recently they met with pastors and shared about the importance of developing a contextual plan for discipleship and leadership development. Pray for these pastors to use what they learned in their churches. Also pray for Guille and his family as they finalize their plans to visit the U.S. in February 2019. For more info on Guille & Debbie see page 67 of the prayer guide. 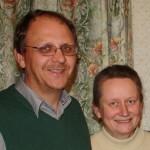 Pray for wisdom for their doctors as Paul and Violette Bridgman continue to deal with health issues. He with abdominal pain and her with movement in her hip broken several years ago. Pray the Sakuragaoka church vision to reach young families will be effective and for the evangelistic English classes to draw individuals open to making decisions for Christ. After retiring from the field, Bill Boggess’ first assignment with Equipping Leaders International will be to go to Myanmar next month to teach 70 pastors. Then on to Senegal and Mali in January to train pastors in predominately French speaking areas. Pray for protection for Bill as he travels the world and for fruit from his teaching. Pray for physical and emotional health for Bobbie and him, and for God’s direction as to when and where to settle down. In 2006, Wycliffe Russia sent a family to the Avatime people of Ghana where they created an alphabet and translated the NT. This year Valery Morozov joined in celebrating its dedication. Despite the difficult political and economic situation, Wycliffe is working to develop to the point where Russian churches will take on financial responsibility for translation projects. To accomplish this, Valery has ceded the director’s authority to one of his active missionaries. For more info on Valery see page 50 of the prayer guide. Herb and Heather were amazed when their employee visited a government office that is normally less than helpful but seeing the Annoor letterhead on the documents, was delighted to help because his mother had received treatment there. The hospital’s reputation spans borders as one man in Sudan encountered someone who had been treated there, so he sold all the stock in his store and came to Jordan. Now he is recovering from TB and looking forward to returning to his family. Pray he returns with the love of Jesus in his heart and shares it. For more info on Herb & Heather see page 8 of the prayer guide. The Youngs are UWM regional leaders for Asia, overseeing people working in eight countries, two of which are the most populated in the world and making residency very difficult for Christian workers. Pray for open doors in these and other nations, and for wisdom for the Youngs to help the workers reaching out with the Gospel. Pray for strength, wisdom, and stamina to give leadership in the region while still overseeing their local ministry team. Pray for Tim and Tanya as they expand their fitness ministry by opening a first of its kind, Strongman Training gym in their town. The gym has powerlifting and overall strength training that will be free and open to all youth in their area. The goal is to get kids into something positive physically and build relationships between them and Christ. Pray that many youth will choose to take advantage of this opportunity. 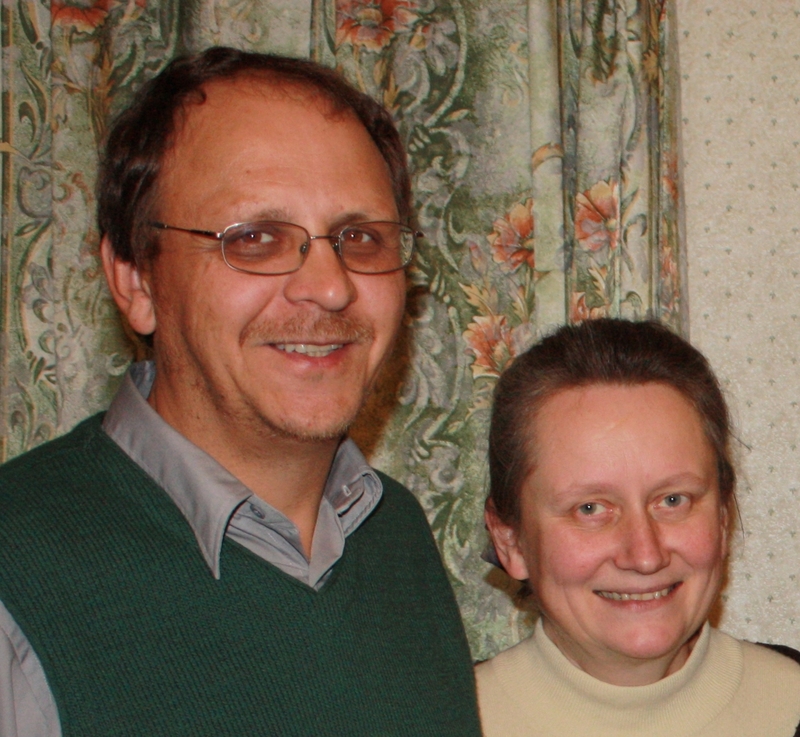 For more info on Tim & Tanya see page 20 of the prayer guide. Leonardo reports that after much prayer and searching, a spacious, accessible, visible, and affordable space was found for the church plant in San Paolo. After helping intiate the work at Breccia Di Roma, Gianluca and Lucia moved there to co-lead the work. They held their first service on Sept. 23rd in the wing of a public school. Leonardo notes there is much potential in the young men being trained and asks prayer that God will help them to grow. Gibson Nkanaunena expresses praise for opening a fifth church network in Vuso Jere in the Ntchisi district and that the Khuwi church network received Essentials of Community Development skills when 37 people participating in the seminars. Pray the people who participated in the mission week will train others in their respective churches. Pray for continued peace and tranquility in Malawi. For more info on Gibson see page 79 of the prayer guide. Brian F asks prayer for God to continue to grow Thai Christians in the BASICS of the Christian life. Pray He and his team will draw Thais at CMU, KKU, and MJU to the Lord. Pray those who attended the Evangelistic Retreat will be drawn to Christ and grow to love Him more each day. Pray the two-year MJU LEAD team continues to bear fruit through their lives over the next fourteen months.